How to be BLESSED and BLESS your entire family!! Read through the Bible in just 48 to 96 days! 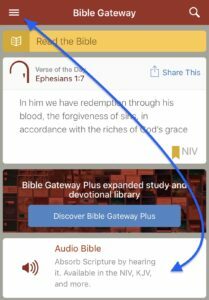 The combination of listening to an excellent orator read the Bible correctly, and reading along, is so powerful that it just cannot be explained—you just breeze through the Bible—becoming so real to you. Very early in my own Restoration Journey, I heard about God's promise of meditating on His word, day and night, and how the outcome would be whatever you do you would prosper at it. So I began spending hours reading the Bible and learning the verses and principles. BUT reading through the Bible terrified me, silly but true. It sounded like such a huge feat many bragged about, and even though I was an avid and voracious reader, I never attempted it. Until… the Lord showed me something amazing!!! During my fasts, I loved to “feast” on HIS Word. In the morning I’d read for an hour and then another hour in the evening, replacing HIS Word with food. 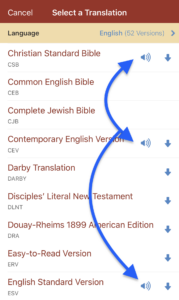 During my longest fast: 40 days (but I only made it 30), I read through the entire Bible twice by listening to Alexandar Scourby while following along in my own Bible! The wisdom that He has given me to minister all these years and write life-changing books was due ONLY to the wisdom I have from reading and listening to the Bible over and over again. What I want to give to each of you and your families, is what I KNOW will work for you to be able to read through the Bible, unlike anything you’ve ever seen or heard about. I personally have been through the Bible more times than I can count. HOW? 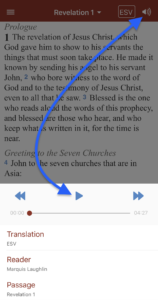 I listen to Alexander Scourby read through the Bible while I read along in my own Bible. 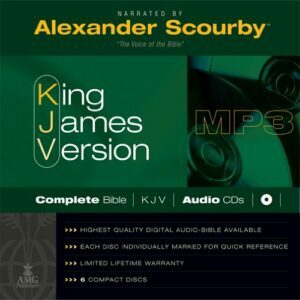 If you simply read and listened to Alexander Scourby (who has a beautiful voice and who I image is the Lord, Himself, reading it to me) you will witness a complete transformation in you and your family if they join you or do it on their own!! There are 70 hours to listen and read along with. So, even if you do just 30 minutes in the morning and 30 minutes in the evening, as we did as a family, that’s 70 days or less than 2 ½ months—to read through the entire Bible!! Think about how many Christians have struggled to read through it in a year!! This method is so easy, I used it to train my children when they were young, allowing us to go through the Bible as a family EASILY. My oldest children each had their KJV Bible in hand, while my youngest 3 listened (while doing puzzles on the floor) for just 30 minutes a day in the morning and evening. The children slept better and today are grown and ALL living for the Lord. NOW Click here to see that the Scourby foundation has designed their apps to do exactly what I recommended and did for YEARS!! It actually highlights the portion he’s reading! So this is what I want each of you to purchase. If you purchase the CDs, then you will also be able to use them when your wife returns (with your children). OR purchase the app now and the CDs later on. BELOW is MORE of what I found. 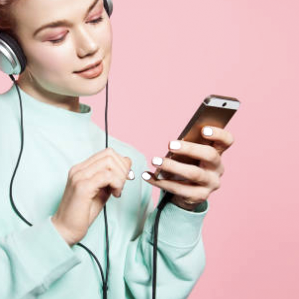 Click here to see that the Scourby foundation has designed their apps to do exactly what I recommended and did for YEARS!! It actually highlights the portion he’s reading! 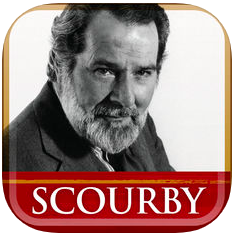 Chicago Tribune wrote that Alexander Scourby had the greatest voice ever recorded and was the World's best audiobook narrator. 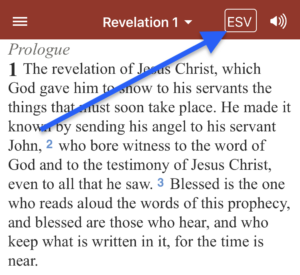 Also, as you start, you can see just how long that CHAPTER is so you know if you have time to start it or if you need to wait until the next time you’ve set aside to READ THROUGH the Bible.